Holy Crap, I’M GOING TO PARIS! 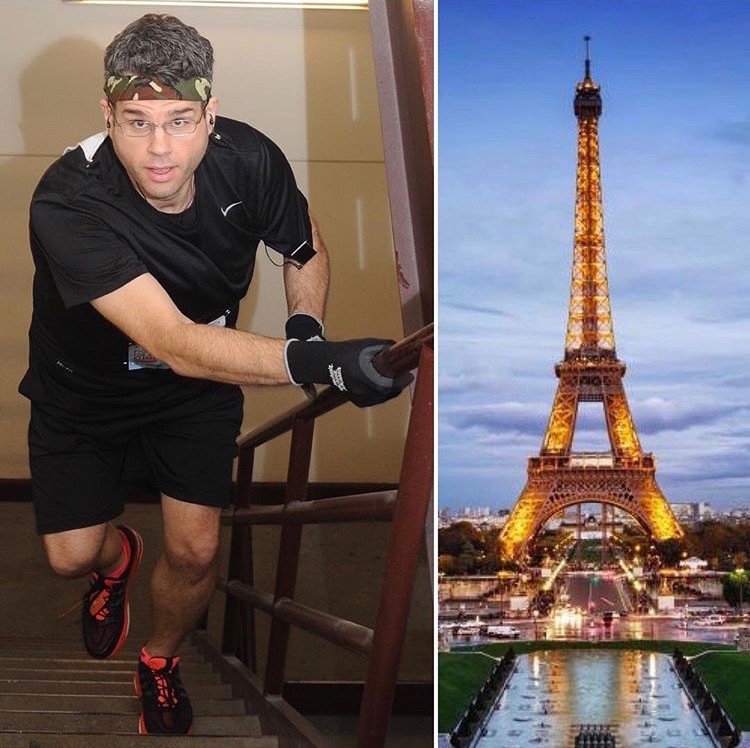 I’m One of Three Americans That Were Selected to Race Up the Eiffel Tower Stairs This Year | Keep It Up, David! Bonjour, je m’appelle David, et je vais en France! 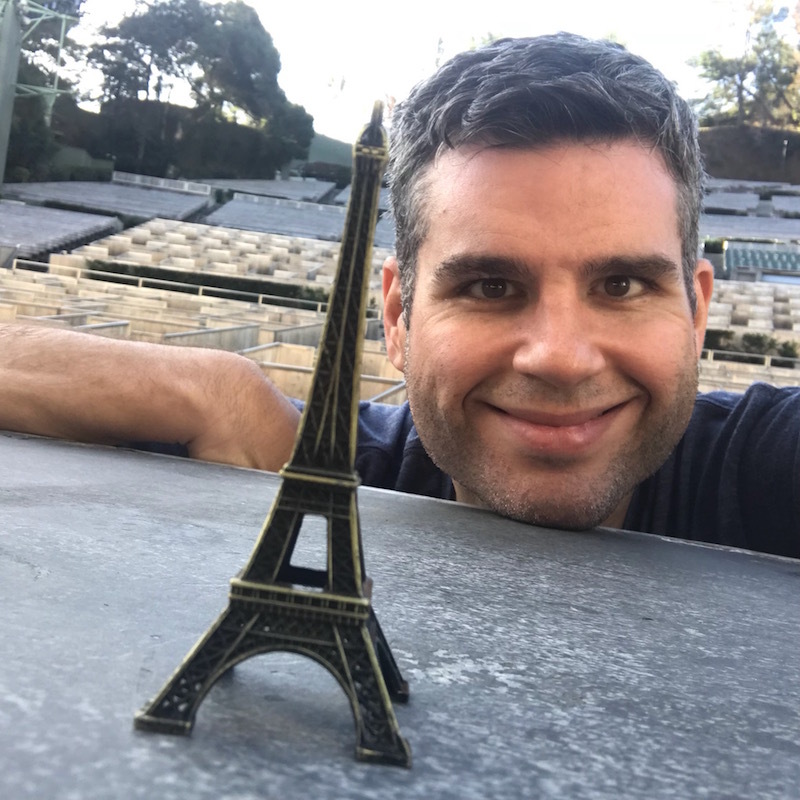 I’m so honored and excited to share some extraordinary news: I’m competing in my first international stair race, and it’s in one of the most recognizable landmarks in the world, the Eiffel Tower! I’ve been sitting on this news for almost two weeks. I shared it on social media, but held off of posting it here until the race organizers published it on their website. And that finally happened today! 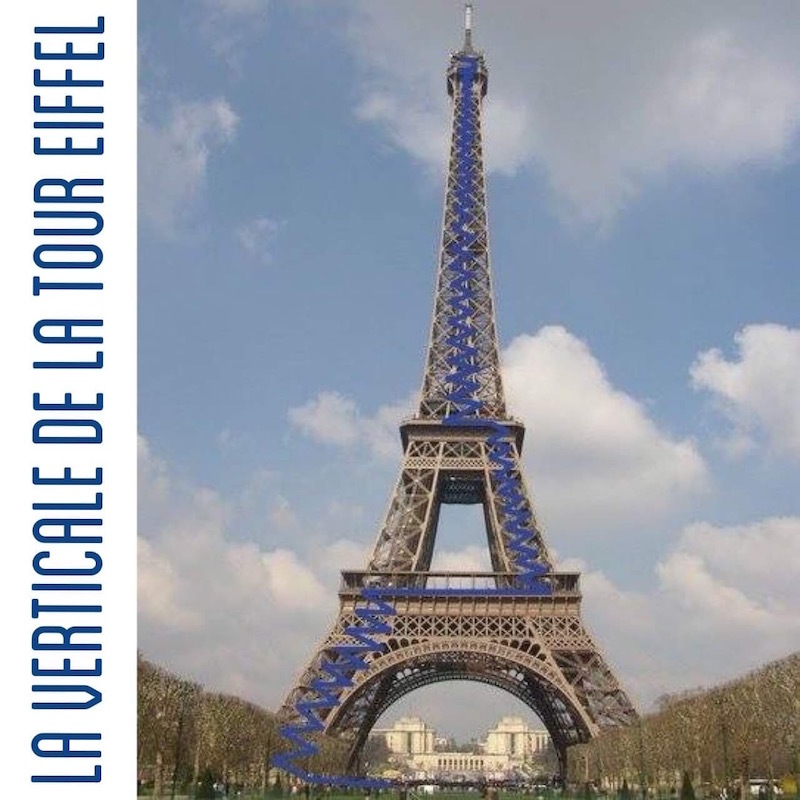 La Verticale de la tour Eiffel is one of the prestigious stair races on the planet, attracting athletes from all running disciplines, from all over the world. You can’t just sign up for this race, you have to be selected. And I was selected! I applied for consideration last fall. I had to pay a small fee (10 euros), fill out an online form, provide proof that I’ve competed in a 700+ step stair race before, and get a medical form signed by a doctor saying that I’m healthy enough to participate if selected. I also submitted a ‘motivation letter’, which was optional, in which I shared my story and why I wanted to compete. Once the application deadline passed, EcoTrail, the race organizers, began the selection process. First, they issued 40 invitations to elite athletes (20 men, 20 women). These folks are among the fastest in the world, in different disciplines: stair racing, road running, and trail running. But I held out hope… for a wildcard spot. They reserve the final ten spots for athletes that they select, all with compelling stories for competing. I wrote a motivation letter so I could be considered for one of these spots. My letter must have caught their eye, because it worked! I was selected as a wildcard! I’m including my letter below, if you’re interested. It’s truly an international affair. While almost 2/3rds of the athletes selected this year are French, the other 1/3rd hail from 21 other countries, from every continent (except Antarctica). There will be athletes from France’s neighbors, like Germany, England, Spain, and Italy, but also athletes coming from as far as Colombia, Tunisia, Thailand, Malaysia, Mauritius, and Australia. I’m one of three Americans selected this year. The other two are Sproule Love, a tower running legend (whom I briefly met at a race a few years back) selected in the lottery round, and Sally Kalksma, who was selected as an elite. The sole Canadian selected, Shaun Stephens-Whale, is a great guy that I met and chatted with at a Seattle race last year. Including this year, only 17 Americans have ever been selected to compete in this race’s short history. (It’s only four years old.) Only two have done it more than once: Sproule, who will be competing for his third time, and my friend Madeleine, who was selected twice. I’ve been training with Madeleine, and she’s been showing me videos of the Eiffel stairs and giving me pointers. She also gave me the Eiffel figurine that’s in a couple of the photos on this post. And what exactly is the race? We’re racing up the Eiffel Tower steps! There are 1,665 steps from the base to the upper-most platform, where the finish line will be. The stairs to the first and second platform are open to the public on a daily basis, but the stairs from the second to the top are not. They’re tight and narrow. The actual route for the race. A truthful (and funny) graphic. For the sake of comparison, the Eiffel Tower has exactly one more step than the US Bank Tower in downtown Los Angeles, a building I’ve raced five times. The US Bank Tower is 75 stories, and that race requires climbing 1,005 vertical feet. The Eiffel Tower has one step more than US Bank Tower, but the race is nearly 100 feet shorter – 906 feet compared to 1,005 feet. Which means each of Eiffel’s individual stairs is slightly shorter. The race is also outdoors. While the stairs are wrapped in metal fencing to prevent people from falling, they are completely exposed to the elements, like wind and air temperature. And since the race is being held at night, in Paris, in March, there’s a good chance it will be on the chilly side. Good thing climbing stairs warms you up quickly! It’s going to be a fun, nerve-racking, exciting experience. I’m incredibly thrilled to be a participating in such a global event, and I’m already getting chills and goosebumps just thinking about it. I’m so thankful for my friends at Bowflex, who are sponsoring me for this race, helping to defray the costs of getting to Paris and staying there for a few days. I use my Bowflex Max Trainer and SelectTech dumbbells all the time, and recently completed a challenge that pushed me to my limits! My training is going well. In addition to training on stairs, I’ve been doing a lot of cardio and have recently started using my elevation training mask again, just to push myself a little further. I have a couple races coming up before Paris (more on those in an upcoming post), so it’s gonna be stairs, stairs, stairs in the near future! Lastly, I just realized that I’m publishing this post on my eighth anniversary. Eight years ago today I began logging my food and trying to lose weight. 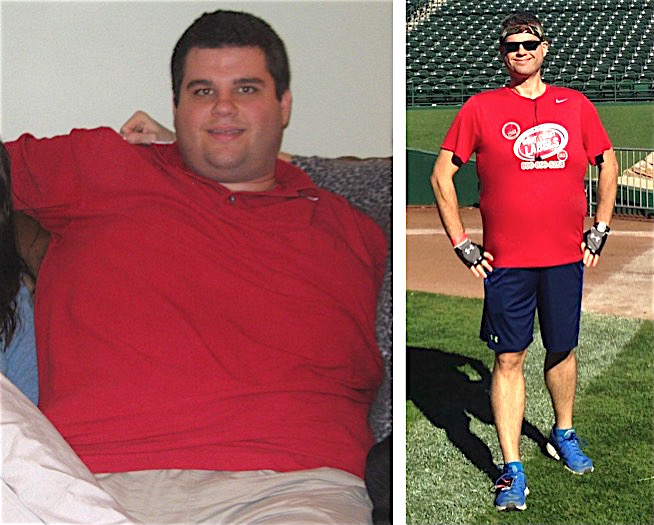 At the time, I wasn’t sure I’d be successful at all, and I certainly wasn’t expecting to find a new sport – and an insanely challenging, grueling one at that – that could help me keep the weight off. I suppose I’m proof that amazing things can happen when you’re open to the idea that your future can be different, and you’re willing to put in the work. Keep it up, David… all the way to Paris! Here’s the motivation letter that I submitted with my Eiffel application. I submitted it in French and English – thanks to Amy, Eric, and Emily for your help in proof-reading the French version! Please accept this as my motivation letter so that I may be considered for a wildcard slot at the 2018 event. I’m providing the same letter in English and French. My name is David Garcia. I’m a 38-year-old competitive racer that lives in Los Angeles, and racing up stairs has changed my life. Eight years ago, I weighed 402 pounds (182 kg), and through exercise and diet, I’ve lost 160 pounds (72.5 kg) and have kept it off ever since. Racing up stairs has been the reason why. I competed in my first stair race in 2012, in Los Angeles, and I quickly became hooked on the sport. 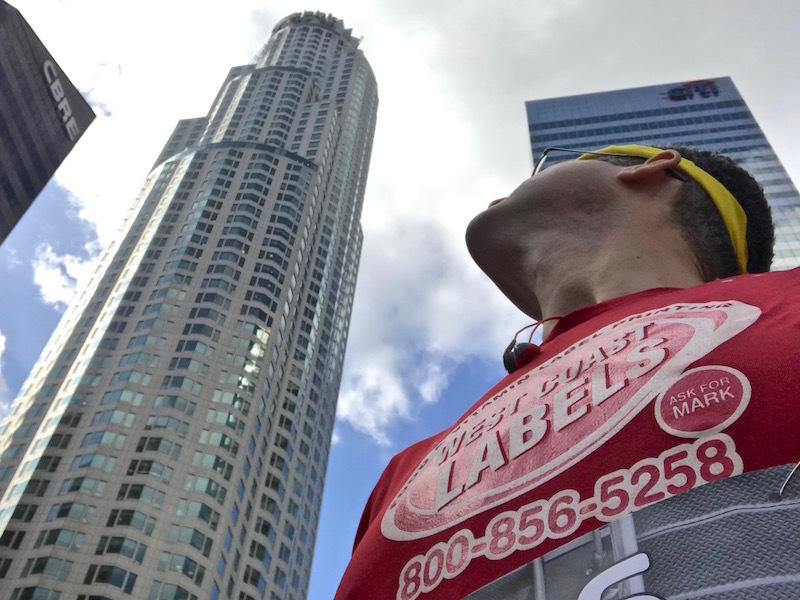 Since then, I’ve competed in 50 races all over the United States, including major landmarks like the Sears Tower in Chicago, the Space Needle in Seattle, the Stratosphere in Las Vegas, and 1 World Trade Center in New York City. These races help me keep the weight off, and provide major health and fitness goals to work towards. I love the incredible physical challenge they provide, and can’t get enough of the feeling that comes after I cross the finish line: a mix of pride, accomplishment, pain and exhaustion that is unlike anything else I’ve ever felt. While I’ve competed in stair races in 17 different US cities, I’ve never competed internationally. And I’ve never been to Paris! 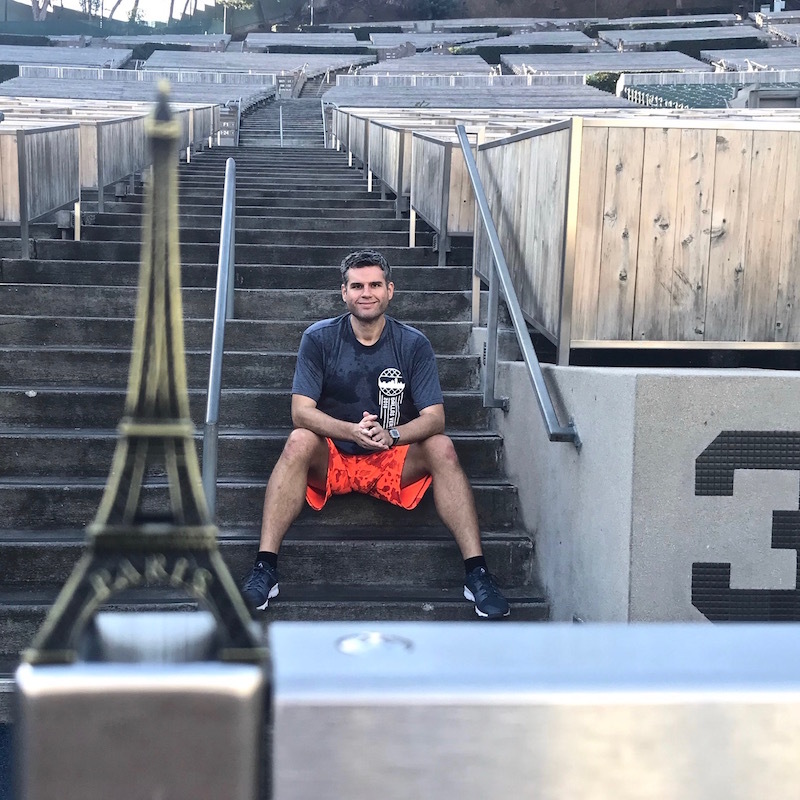 I can think of no greater honor than to visit Paris for the first time to compete in such a prestigious, iconic event in a tower that is recognized by everyone on the planet. Thank you for considering me for a wildcard slot. I hope to hear from you soon! This entry was posted on Tuesday, January 23rd, 2018 at 3:43 pm and is filed under Uncategorized. You can follow any responses to this entry through the RSS 2.0 feed. You can leave a response, or trackback from your own site. Congratulations David!! What a thrill this will be for you! Best of luck on this adventure! A total thrill. I can’t wait! Congratulations! Even though it’s part of a lottery/wildcard system, you totally earned it. Great job on your motivation letter too! “Even though”??? 🙂 Thanks George! Félicitations ! I’m so happy for you. What an accomplishment to be selected. Can’t wait to see your post after you complete the race. Congrats, just reminds me that you can not see what lies in the future for any student. No one including yourself would think you would get so fit, so alive, so happy, so admired because I knew the dark times. Love hearing about you, love and best from a teacher who saw a good but lost kid. Wow!!!! Thank you, Mr Shonk! Means a lot. Everyone – this comment came from one of my very favorite high school teachers, who understood the 16-year-old version of me probably better than I did. Congratulations!!! This is simply awesome and I am so very happy for you. Wishing you the best on this wonderful adventure and cannot wait to read the posts concerning this race. You truly are an inspiration!! Merci! I can’t wait to share the experience! Congratulations, David. I’m not surprised that you once again achieved your goals and have this amazing honor, because I know how capable you are in accomplishing anything you tackle!! A very nice letter. Having someone help you with the French version was very wise indeed. If he didn’t get in the elite group then omg that field is tough! He didn’t! He was picked via lottery.